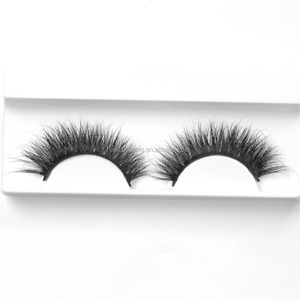 The lashes are either hand-tied or hand-arranged on the lash band, and trimmed by hand giving wearers an absolute natural look. We catch the eyelash trend at the first time and make design and production, so our eyelashes are always popular with clients and get very good feedback. And, we keep stock all the year round of the popular eyelash to make fast delivery and help clients to take the market easily. 2 YRS Qingdao Aotian Dingsheng Trading Co., Ltd.
Gorgeous Lashes Ltd is a professional eyelash manufacturer in China since 1997. 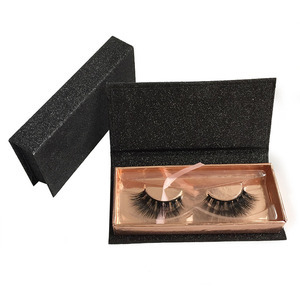 We are able to make customized eyelashes and design private logo eyelash package. We pledge to continue to position our products in the forefront of the fashion and beauty industry while generating maximum consumer awareness and demand. 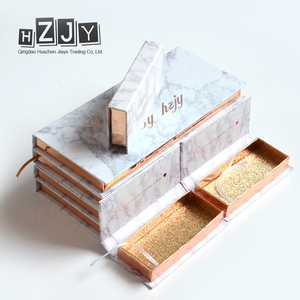 We design your packaging for free Q2:Do you supply custom packaging and accept OEM9 A:Yes, sure. 1 YRS Qingdao Vmae Hair Products Co., Ltd.
Alibaba.com offers 11,788 eyelash glitter products. About 84% of these are false eyelashes, 1% are eye shadow, and 1% are acrylic powder. 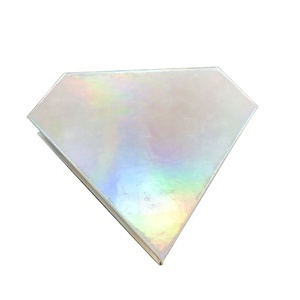 A wide variety of eyelash glitter options are available to you, such as hand made, machine made. You can also choose from synthetic hair, fur, and human hair. As well as from free samples, paid samples. 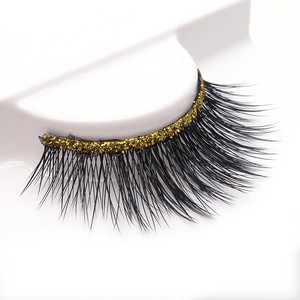 There are 11,788 eyelash glitter suppliers, mainly located in Asia. The top supplying country is China (Mainland), which supply 100% of eyelash glitter respectively. Eyelash glitter products are most popular in North America, Western Europe, and South America. You can ensure product safety by selecting from certified suppliers, including 346 with Other, 235 with ISO9001, and 23 with BSCI certification.